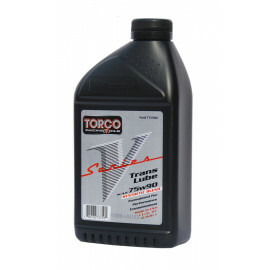 Torco Harley & V-Twin Oils and Lubricants. Wide range of performance oils and lubricants essential to the high demands of any race vehicle. Get yours today. 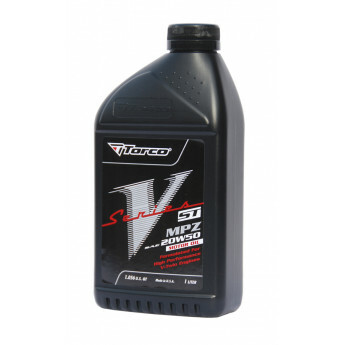 V-Series "SS" Synthetic Motor Oil from Torco Oil is formulated using highly refined synthetic base stocks and Torco's race proven MPZ® additive providing better cooling, cleaning, ring seal, deposi..
V-Series "ST" Motor Oil - Grade 20W50 from Torco Oil are formulated using highly refined petroleum base stocks and Torco's race proven MPZ® additive providing better cooling, cleaning, ring seal, d..
V-Series "ST" Motor Oil - Grade SAE 50 from Torco Oil are formulated using highly refined petroleum base stocks and Torco's race proven MPZ® additive providing better cooling, cleaning, ring seal, ..
V-Series "ST" Motor Oil - Grade SAE 60 from Torco Oil are formulated using highly refined petroleum base stocks and Torco's race proven MPZ® additive providing better cooling, cleaning, ring seal, ..
V-Series Primary Chaincase is a selective blend of synthetic and petroleum based fluids designed to protect all critical drive components found in Harley® and aftermarket chaincases. Provides the h..
V-Series Trans Lube is a selective blend of synthetic and petroleum based oils designed to protect all gear face surfaces and bearing components found in Harley® and aftermarket transmissions. Torc..